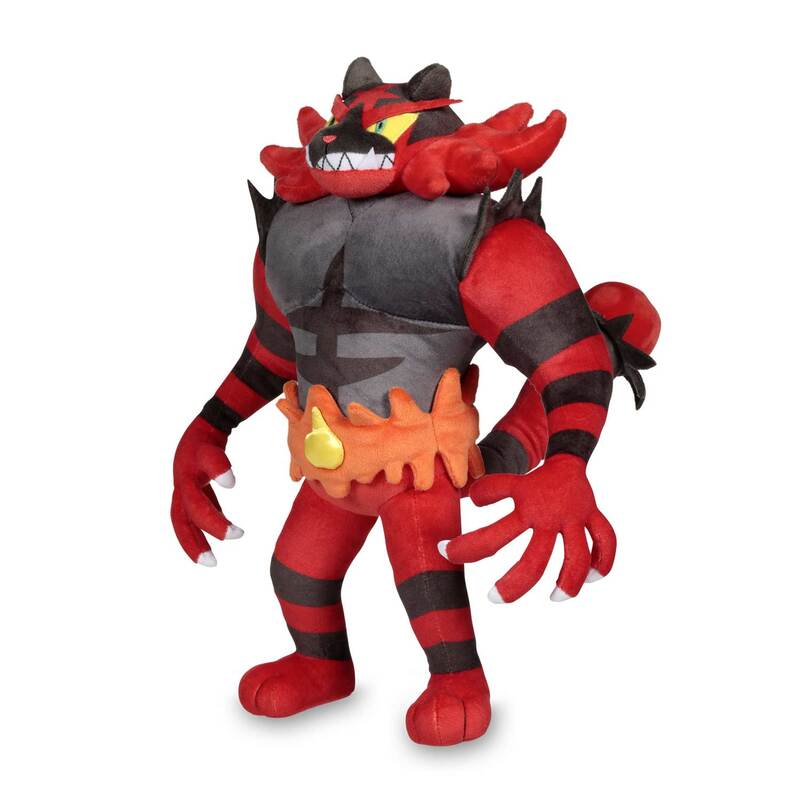 Incineroar Pokémon Plush (Large) - 14"
Incineroar Poké Plush (Large) - 14 In. 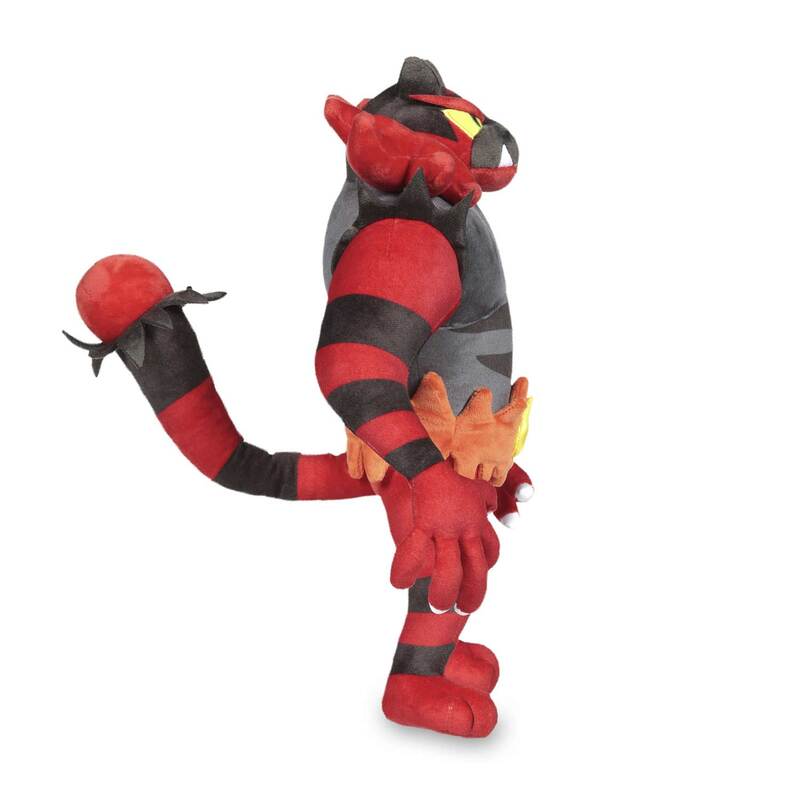 Big clawed hands, super-detailed and embroidered eyes and snout—this Incineroar plush stands out, the way an evolved form should! 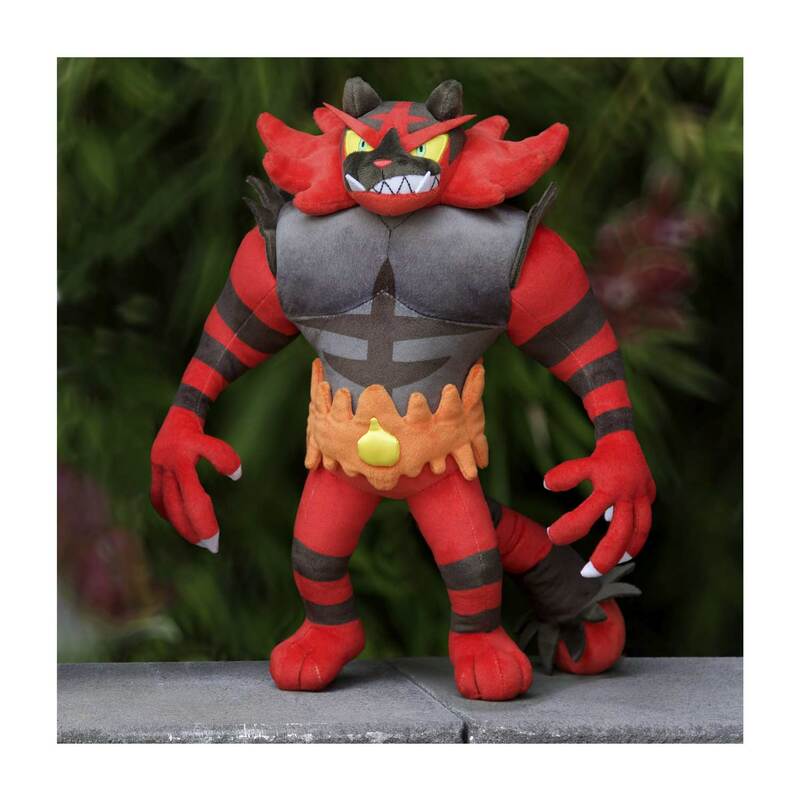 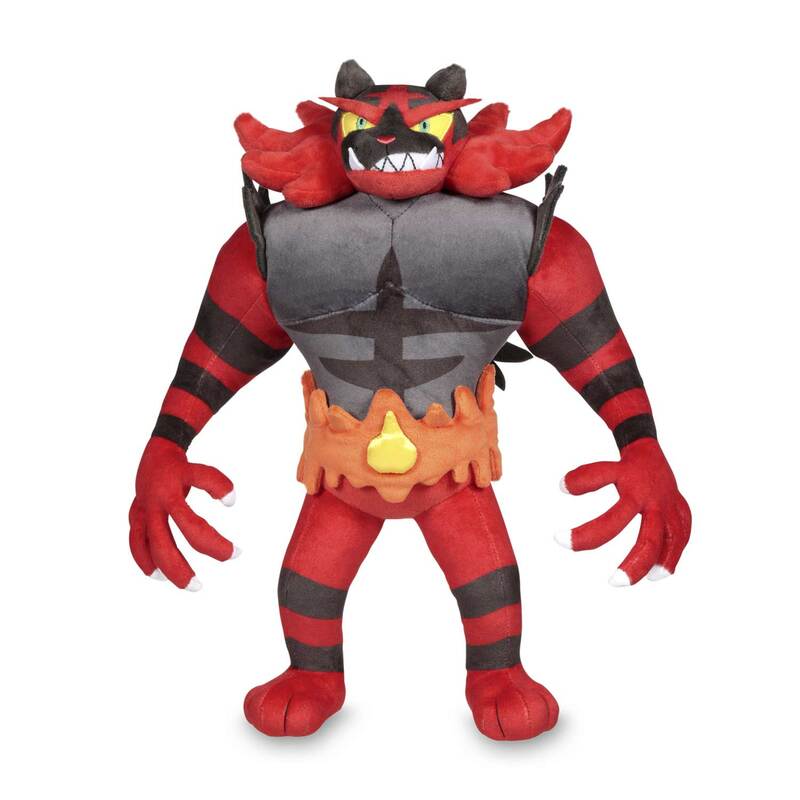 Features a posable tail, to help Incineroar look fierce or stand tall. 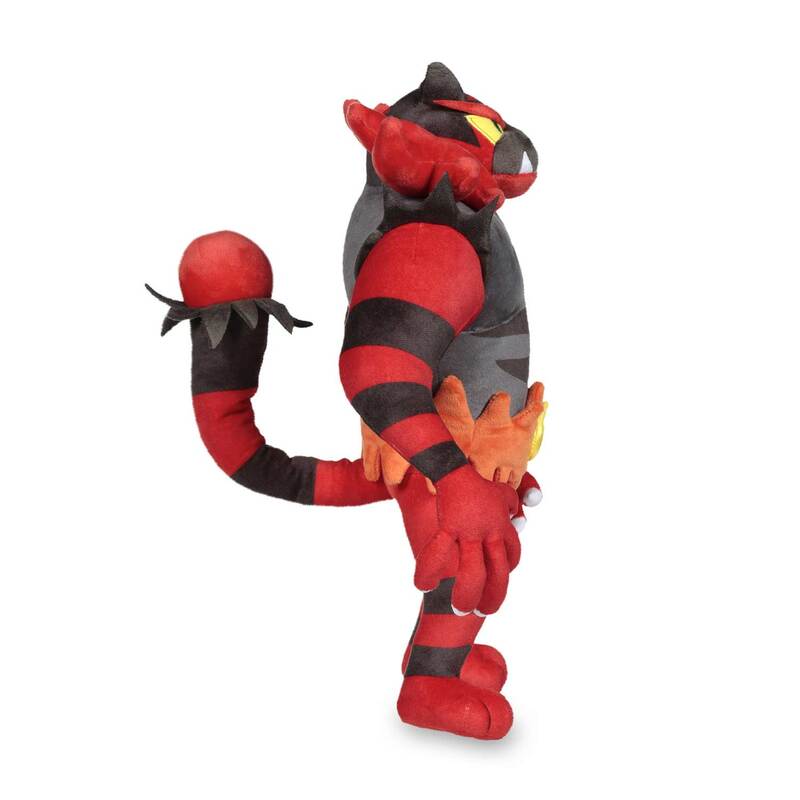 Lots of smooth plush, especially its satiny claws and yellow belt ornament. 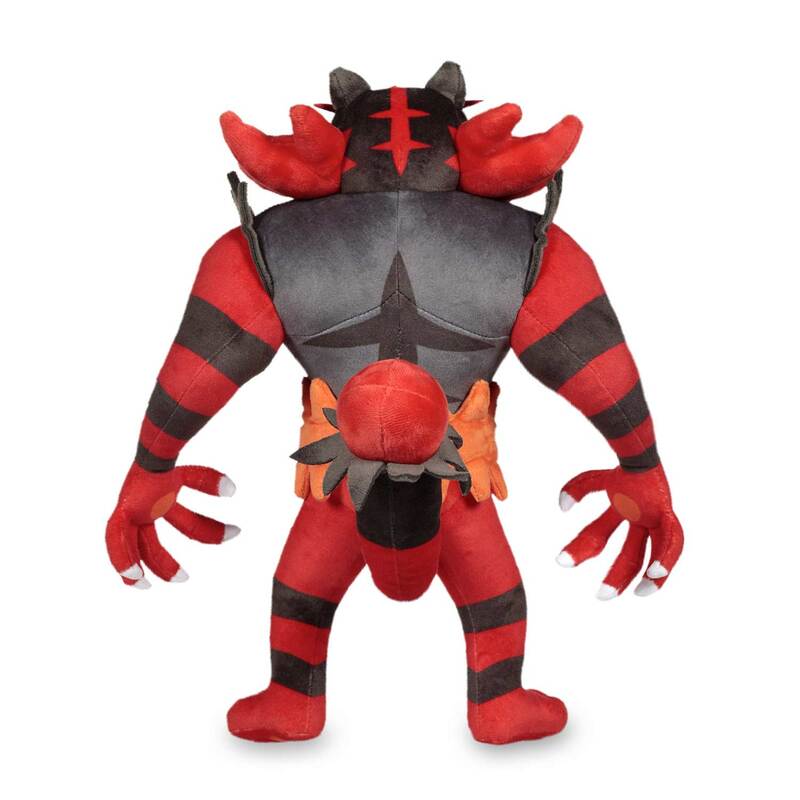 This is big time plush that is ready to roar! 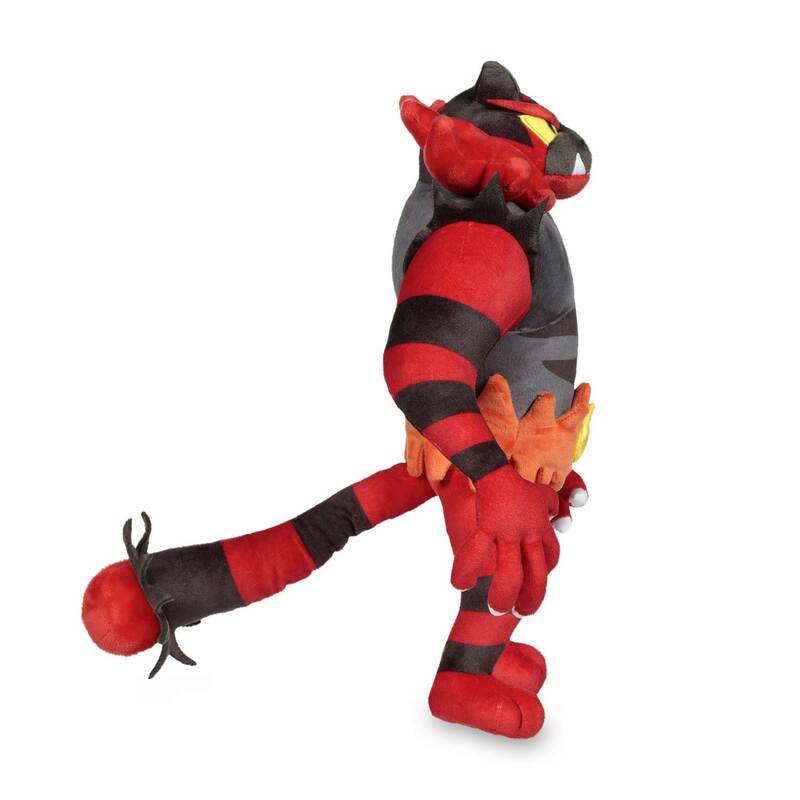 Posable tail to help position your Pokémon plush just so!